Part of the Jordan Holiday Line-up comes yet another Retro, Michael Jordan and Jumpman23 continue to grab inspiration of MJ historic carrier accomplishments. 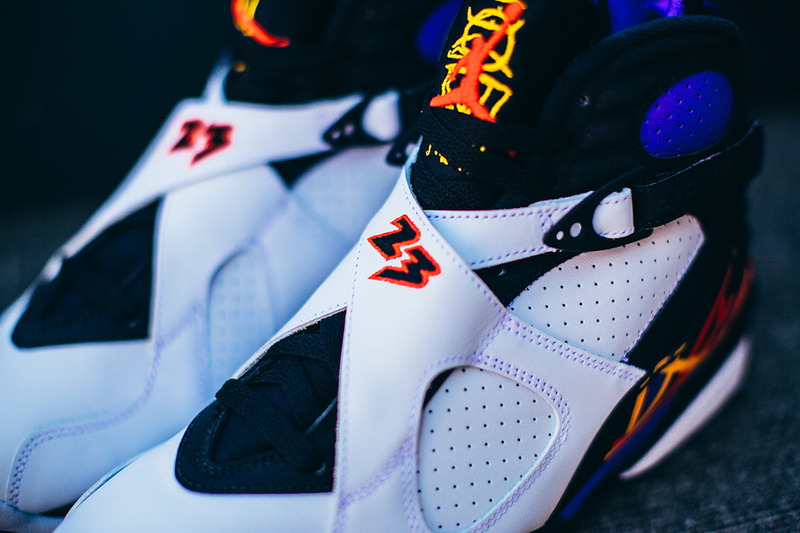 This Retro 8 will pay respects to the 1992-1993 "Three-Peat" season, in which the Chicago Bulls had to face the favor pick New York Knicks in a truth win or die moment. At first the Bulls had lost the 1st two games, but successfully emerged after a four game wining streak to take the series. At the finals they met the power of the Phoenix Suns, the Bulls will end up 2 pints under against Suns and Barkley in game 7, with 3.9 seconds remaining the unexpected happened. Bulls player Josh Paxson provided one of the greatest moments of final history, the three pointer that lead them to an NBA finals win. This will mark the Bulls as the 1st team to complete a back to back to back "Three-Peat" title in almost 27 seasons. 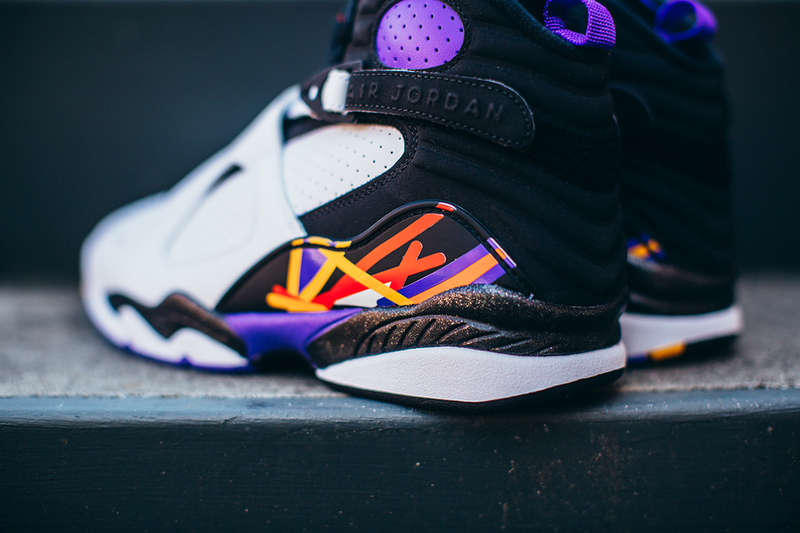 One of the most significant features on this sneaker is the return of the Jordan Retro card. As it displays all 22 Retros in a list of the Jordan Brand collection and atop will have the date and accomplishments of the greatness. The shoe will come build on a white leather base and a smooth premium black suede back heel. It will bring all colors that represent the Phoenix Suns. An engraved ball and basketball net will give homage to that 3 pointer shot. can't forget the double overlay strap. Closes with a glittered black mid-sole for a nice finishing shot. The Three-Peat have arrived and the Holiday Line-up will be the best collect of this year. 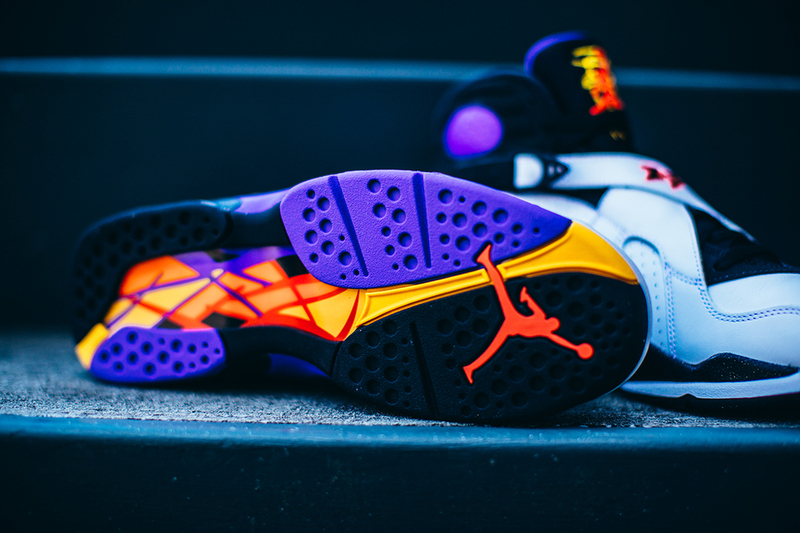 Remember to check our store's this coming Saturday 24th for a chance on these kicks. They will be available on a first come first served basis at our Long Beach and San Pedro locations. Thanks for taking your time to read and checking us out. But don't forget to hit the Like button, leave a comment and stay fresh. Nike Kobe 10 Elite Low "Opening Night"